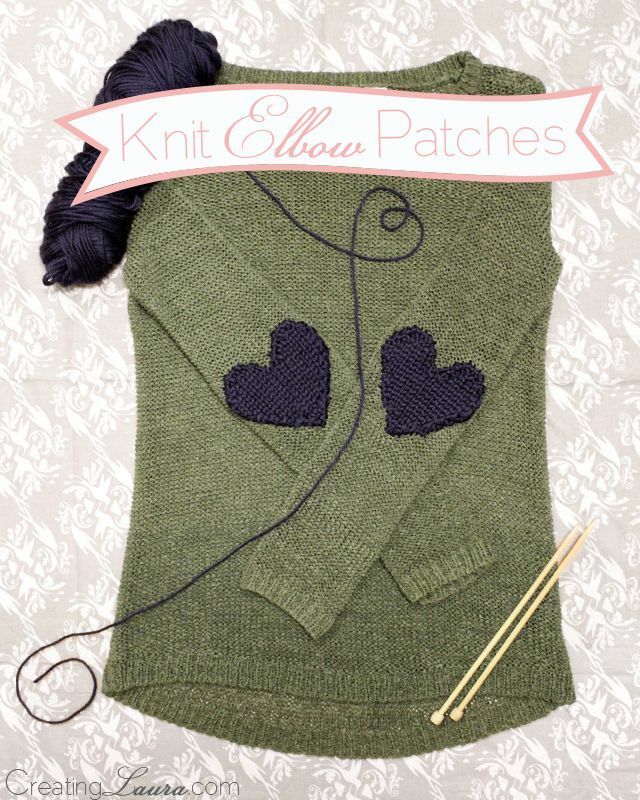 How adorable are these knitted heart elbow patches? Such a cute embellishment for a simple knitted jumper. 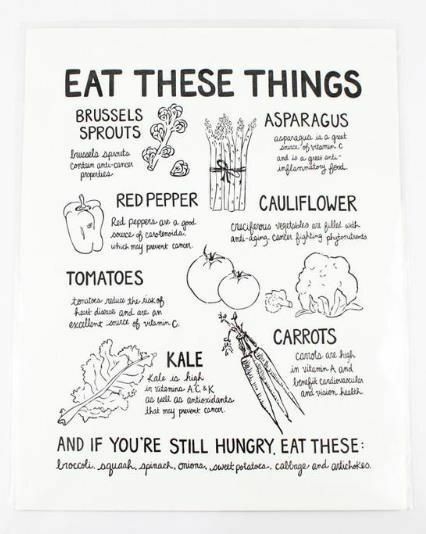 This print from Moorea Seal's shop is adorable, I need this pinned to my fridge, especially after long days when I can't be bothered cooking. 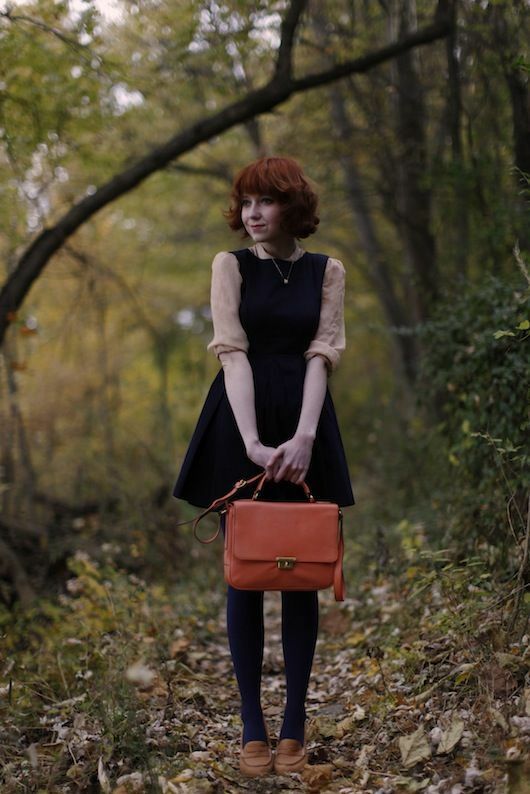 This outfit from Rebecca at The Clothes Horse is gorgeous, I love the layering and simple colours. 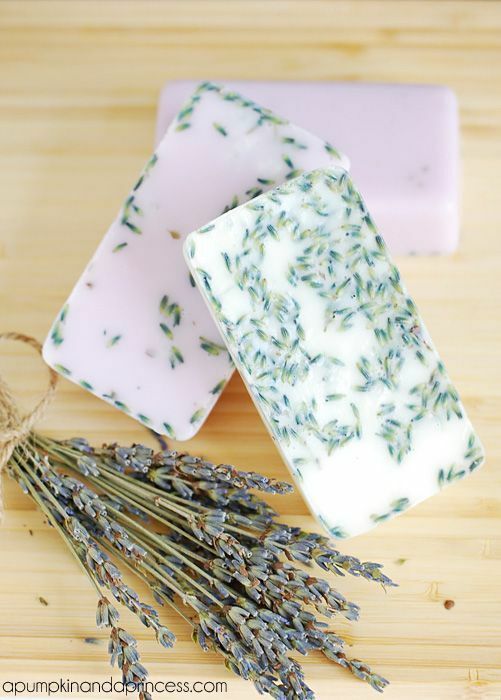 Winter always makes me want to try out new crafts and this lavender soap would be perfect. I can spend some time crafting and then have a long bath. 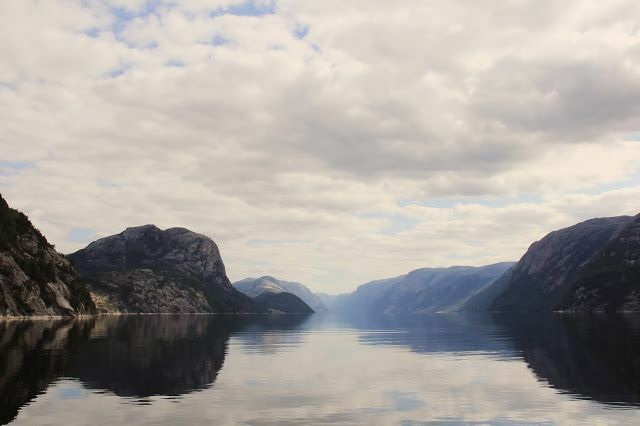 The photos of Norway from The Headless Mannequin are absolutely stunning. I can't wait until I can get away somewhere beautiful. 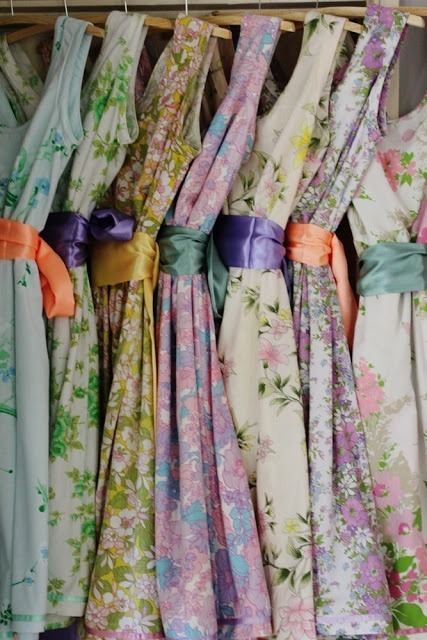 These dresses made of vintage sheets are absolutely gorgeous, such a wonderful way of preserving these beautiful patterns and fabrics. I have been absolutely obsessed with candles lately, but a lot of them still have wax left even though the wick has disappeared. 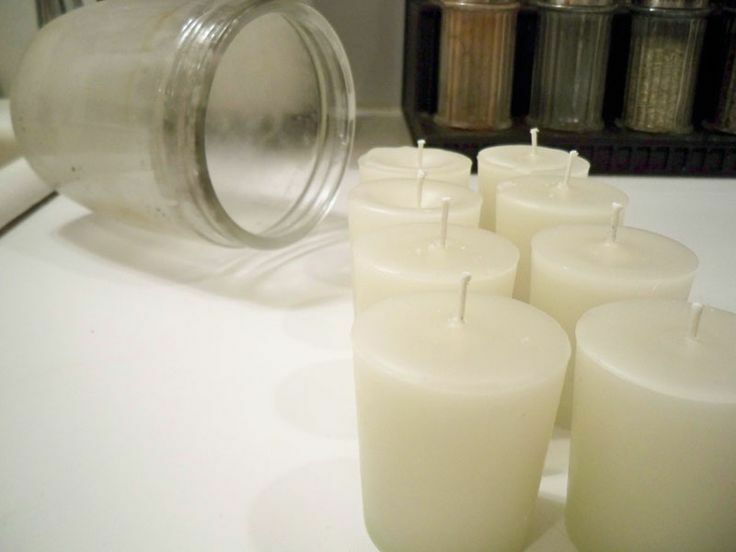 I stuck them all in a plastic bag after reading DIY for making your own candles. I just need to find somewhere I can buy wick. 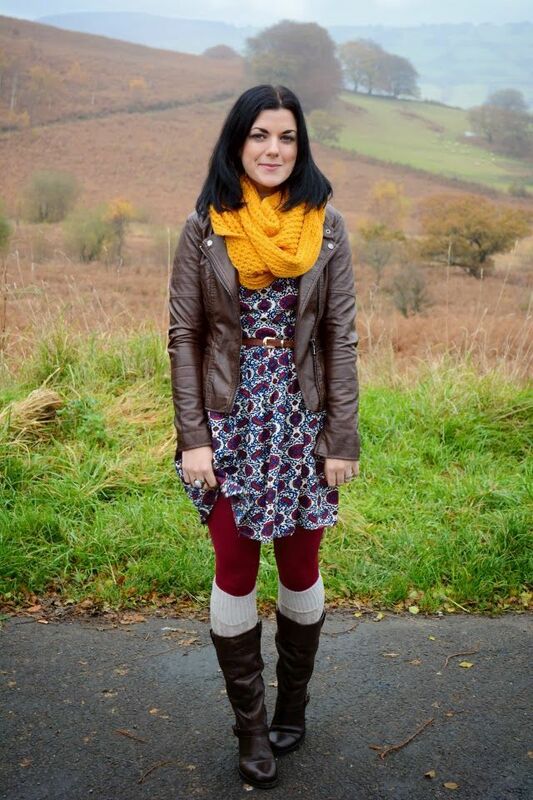 Rachel's outfit is just perfect for that time between Autumn and Winter clothing, cosy but still stylish. I love all this rich colours. 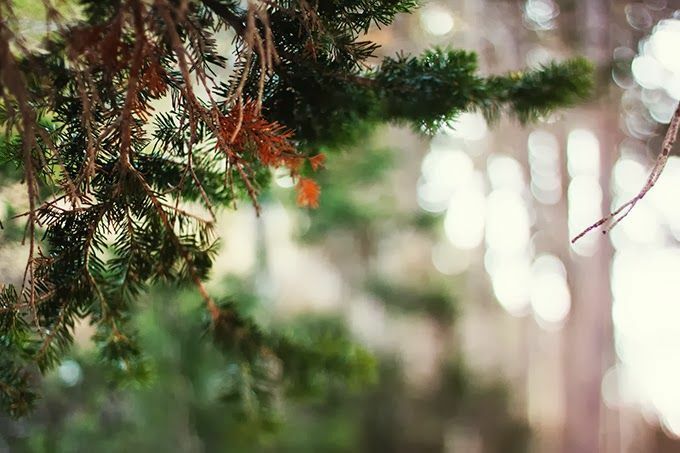 Gentri posted the most beautiful photos of her mountain home, including this example of free lensing, it makes such a beautiful effect. This painting, Autumn On The River, by Demeter Gui is absolutely stunning, the colours are just fantastic. This behind the scenes photo of Tom Felton on set for Anna & The King makes me smile each time I see it. I wonder if he knew he was going to play Draco at the time? It must have been quite a few years before the first film came out. Three Little Ways Of Getting Through Thanksgiving; Obviously, being in the UK, I don't usually celebrate Thanksgiving. I think this post from Angie is perfect for the holiday season in general. I find Christmas day in particular quite stressful, I love my family and all but the expectations of the day make me anxious. This post makes me feel so much better about taking time for myself when I need it. Practice Makes Perfect Or Something Like That: I'm definitely not one of those people who feels like they have any kind of calling, so I really loved Katie's honesty about the work she puts into her business and craft. It makes me want to work harder and not get put off when I'm just not that great at something. Outtakes: You guys know I love outtakes from outfit posts, and these ones from Amanda are fantastic. I think it's great that, as bloggers, we can still laugh at ourselves. Oh Life - Learning To Let Go, Breaking Up With Friends: Ella's post about loosing friends really touched me, we've all lost friends for various reasons. I've been so busy lately that I haven't been a great friend to a lot of people lately, this is a good reminder that I need to put more effort into my friendships if I don't want them to fade away. It also has some great advice for those going through a friend-break up at the moment, whether it was caused by a disagreement or just falling to the side. Speak The Truth, Even If Your Voice Shakes: Kelly Ann posted so eloquently about her beliefs on religion and feminism that it nearly brought me to tears. I'm not religious but every word really touched me and, at a time when religion and feminism can be hugely controversial topics that seem to be on opposite side of the fence, it was wonderful to be reminded that they don't need to be, and for many they aren't. Honest To Blog - Growing Up Is Hard: It is reassuring to know that not everyone in their twenties feels like they have it together. I always assumed that life would just kind of slip into place when I was in my twenties but the reality is even now I sometimes feel like I'm not getting anywhere. It's good to know I'm not the only one. Can A Man Be A Feminist? This post about being a man and a feminist is such an interesting read. I can find it quite difficult to talk about feminism with people because they get defensive, this post really made me understand why people who are wonderful and believe in equality can find feminism a difficult subject. Britain: This description of the UK for American's from WW2 is absolutely amazing, and kind of hilarious. How I Grew My Blog: I started reading Melyssa's blog about six months ago and it has grown incredibly, mainly due to her hard word. It was interesting to get a look into some of the ways she has turned her blog into a business in such a short time. I always love your Monday links post and all the inspiration it yields so it's especially nice to have a picture of my own featured...thank you :) I'm off now to peruse all the other lovely links and to bookmark the knitted elbow patches for some time in the future! I find the same thing about feminism, I think because it means so many different things to different people and has such a sorted history. I try to stay out of the conversation most of the time. I am a supporter of women and of men, and of however people want to live as long as they aren't hurting someone else.Don't you wish it could just be that simple?